January Kawaii Box and Giveaway! Who doesn't love a box full of goodies arriving at their doorstep every month!? 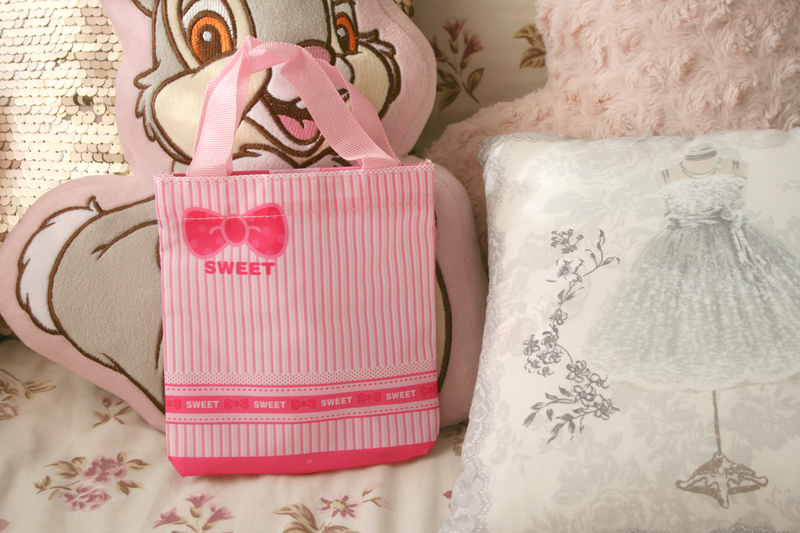 It's all about January Kawaii's Box* today. 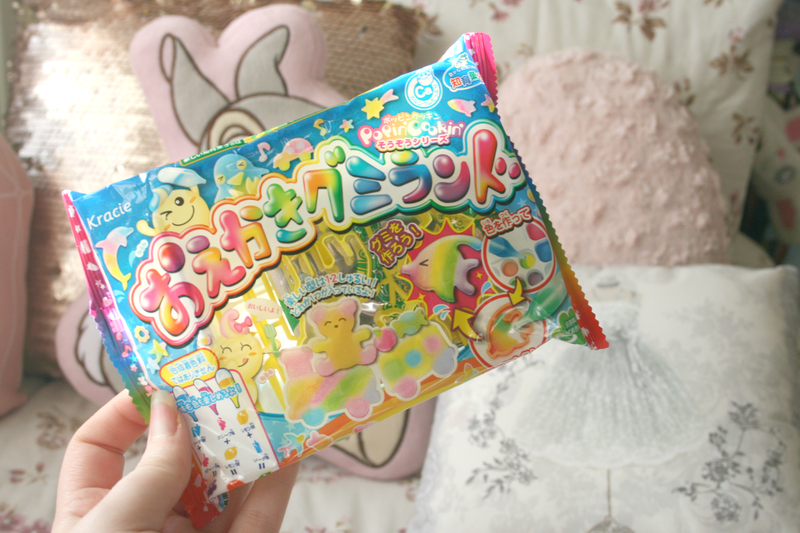 Packed with 10-12 different Japanese/Korean goodies for you to fall in love with! Of course the lovely folk over at Kawaii Box didn't want you all to miss out on your own box full of goodies, so they very kindly gave a box for one of you lucky readers! Everything you see in the Kawaii Box can be bought separately on Blippo so if you see anything you can't live without you can treat yourself! There was 11 items in the January Box and as always it was bursting with cuteness right from the start! Wrapped in pink tissue paper with the logo printed on it and with a card on top telling you everything included in the box. There was even a bow on the front of the box but I didn't take a photo of that because my address was also there, but take my word for it. From the minute you get this box handed to you, you just die from cuteness! 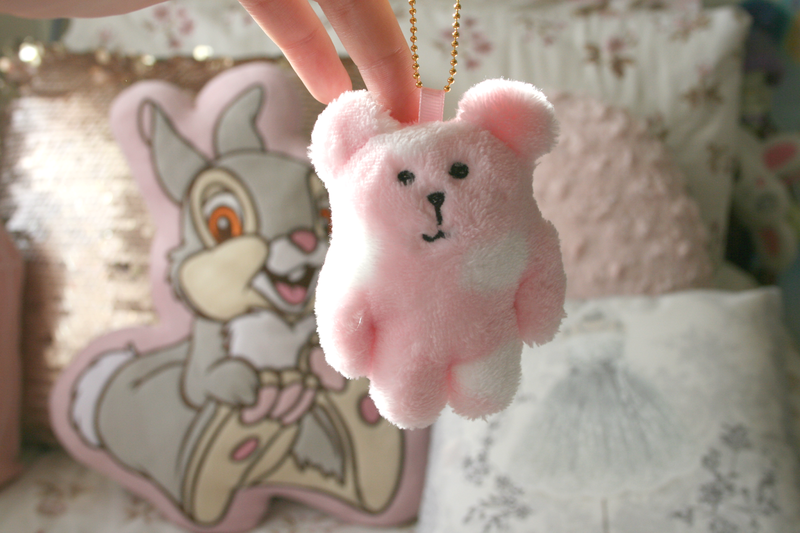 The first thing and probably my favourite one out of the whole box is the most adorable little pastel Bear plush. If this isn't the cutest thing you've ever seen then you're lying to yourself! I am so in love with this little cutie I've even attached him to my good handbag because I need to have him everywhere with me. I had planned to give this little fellow to Aurora and Sheldon but then I realised they wouldn't appreciate him as much as I would so yeah, this one is mine! 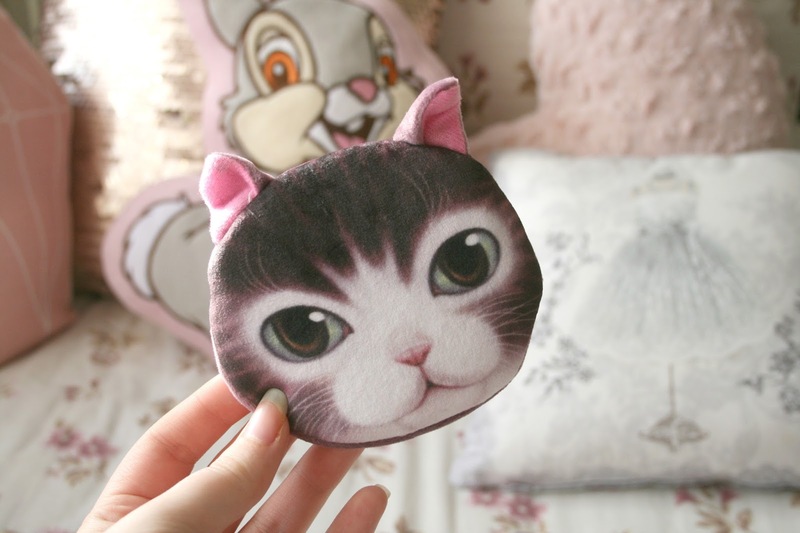 Also on top of the box was a cute little cat face coin purse which is perfect for all you cat lovers! It's the perfect size to pop into your bag to keep all your change together because if you're anything like me, I just throw it all into the bottom of my bag. This little purse keeps everything together and takes up no room what so ever. 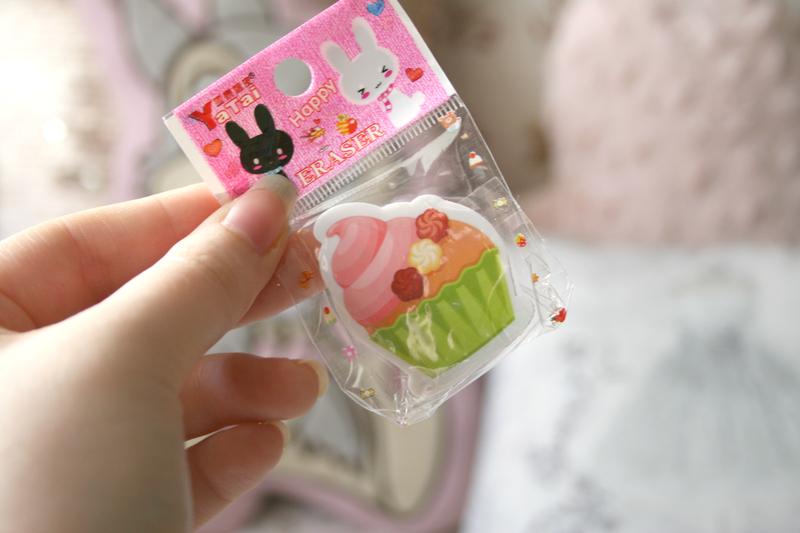 If like me you adore stickers Kawaii Box gave you another two sheets to add to your collection. The first set consisting of Bunnies and Bows. 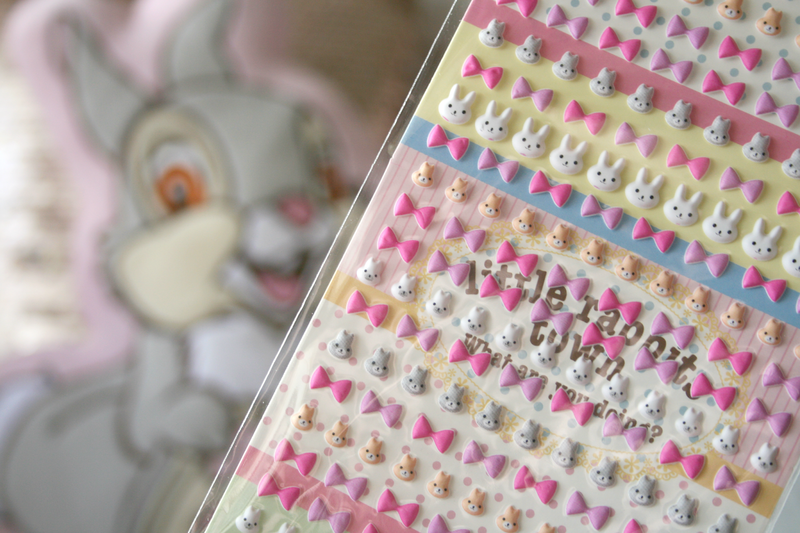 By now I'm sure you know my ever growing love for Bunnies so I was so excited when I seen these and cannot wait to stick them on anything and everything. 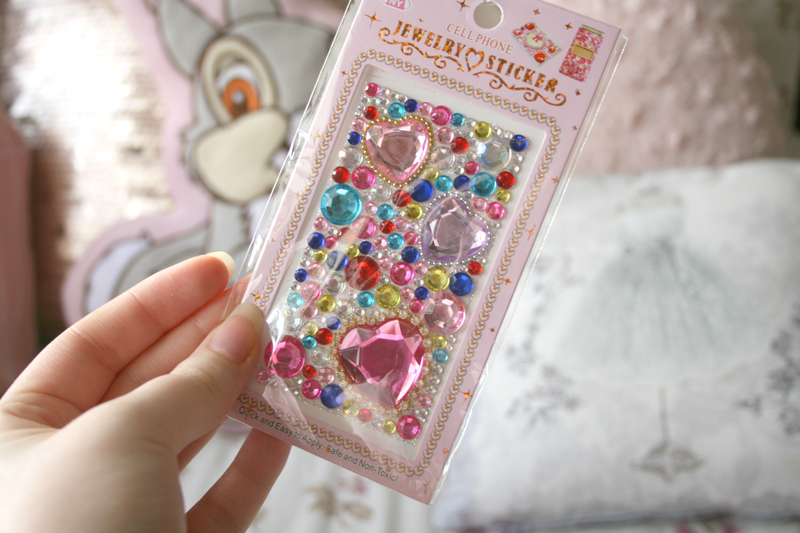 They also included a Phone Jewel sticker. Can you say hello 00's nostalgia. I remember having one of these stuck to the front of my flip phone, ah the memories. You could totally stick this to a clear phone case though and create a new phone case. However I do have the iPhone 6 plus which means this is way too small, so I'll be sticking this to a plain notebook to make it look pretty. 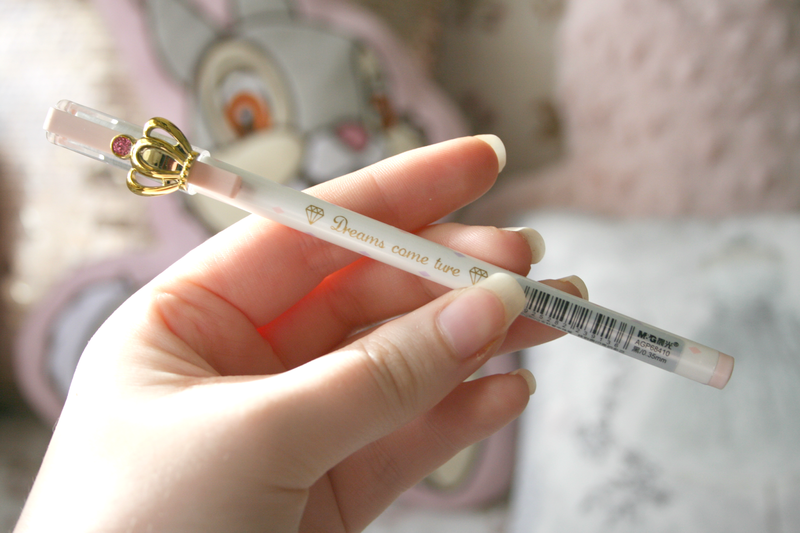 A princess pen was included in this box too. How pretty is it though!? It's earned a place right infront of my iMac on my desk because it's way too pretty to put into my pencil case. Although there is a slight spelling mistake that doesn't bother me at all and it's such a nice pen to write with. Did I mention how pretty it is? Also included in the box was a pack of 8 bottles filled with glitter, and who doesn't love glitter. 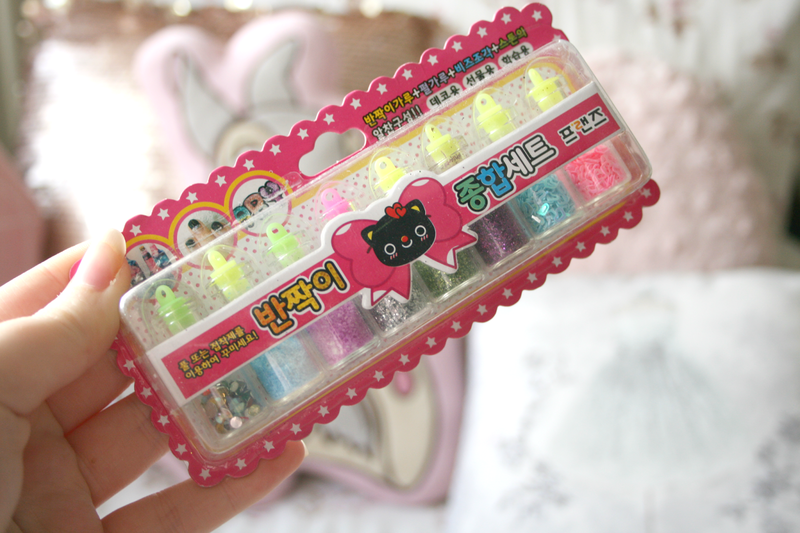 Consisting of normal glitters in varies colours and also colourful gems and pink and blue hearts. I cannot wait to start decorating my nails with these. You could also make a necklace with one of these bottles because theres a hook on the lid so it could look like a bottle of fairy dust! Now you know what I'm going to be doing with these. Something that I actually needed was an eraser. How cute is this little cupcake print. Is it just me who always forgets to buy these when buying stationary. So this has gone straight into my pencil case for when I need it. 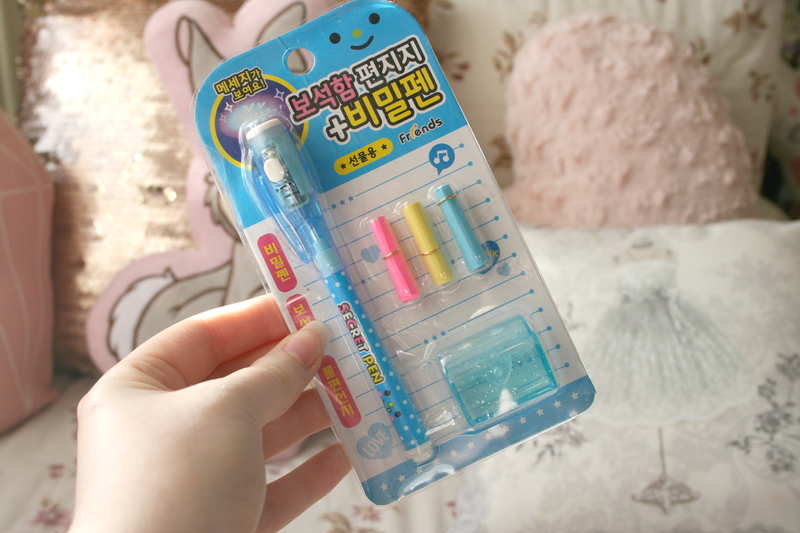 Another thing that brought back the nostalgia memories was this secret pen set. Basically it's a white marker that you can't see what you've wrote until you shine the light attached to the pen onto it. I remember using these when I was younger and writing my so called secrets into my diaries. Down to the last 3 products inside. Firstly was a Popin Cookin set. I have tried Popin Cookin sets before as I've bought them from the Blippo site and I must say they are quite fun to watch food form from powder before your eyes. Sadly i have not tried out this one yet as I've given up sweets and chocolate for lent so it will have to wait awhile longer. However I am so excited to make my own gummys. 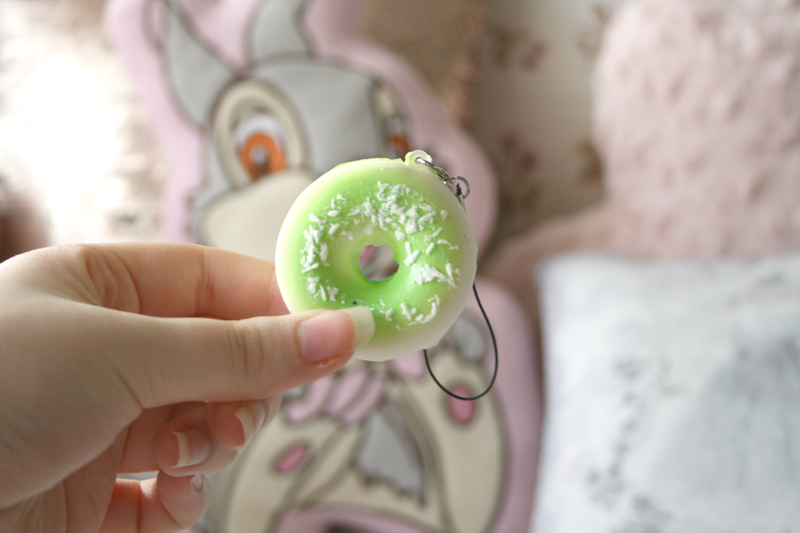 Finally also inside was a squishy Doughnut charm and a little mini tote bag. You may just see a few Instagram photos of sheldon inside this. I have yet to try it but it's definitely big enough for him. I may just have to bribe him with some food. And thats everything that was included in the January Kawaii Box. Pretty darn adorable if I do say so myself! 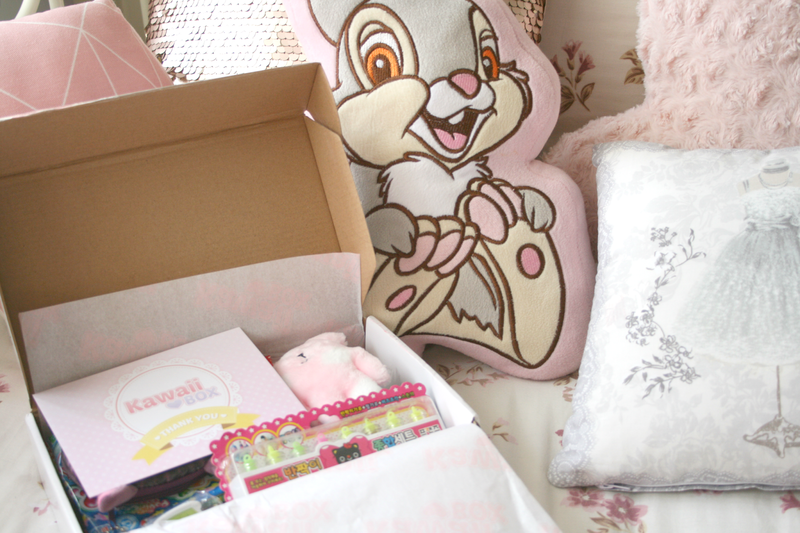 So how would you like to win your very own February Kawaii Box? Just fill out your details in the rafflecopter widget and remember, the more entries you complete the higher your chance is of winning! OMG these are just too adorable! So adorable. Such an interesting box...! Not my kind of style but incredible you can get these delivered to your door!